First Aid Tags help to get first aid and safety equipment noticed at the point of use. 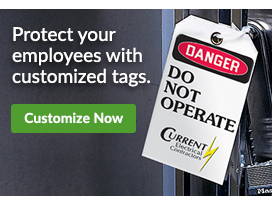 First Aid Tags are important in emergency situations when employees need to find help fast. 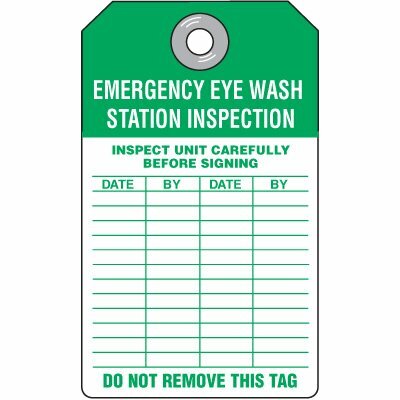 AED Tags, Eyewash Tags and Shower Tags help workers in need locate and properly use safety and First Aid equipment. First Aid OSHA and Safety Tags are required for record-keeping purposes and are normally attached to various pieces of equipment. First Aid OSHA and Safety Tags enable workers at your facility to keep detailed records for testing and inspection of Eye Wash Stations, Automatic External Defibrillators (AED) and other pieces of important equipment..